NBA – The Los Angeles Lakers will visit the Sacramento Kings at Golden 1 Center in Sacramento, California. Lakers will be playing without their franchise player the league 4 – time MVP and 3 – time NBA Champion LeBron James due to injuries he suffered from their last game on Christmas Day against the defending Champion the Golden State Warriors. LeBron James is reported to miss several games due to groin strain which ends his streak of not missing any games in the regular season through post season since 2016 dated back when he was with his former team the Cleveland Cavaliers. 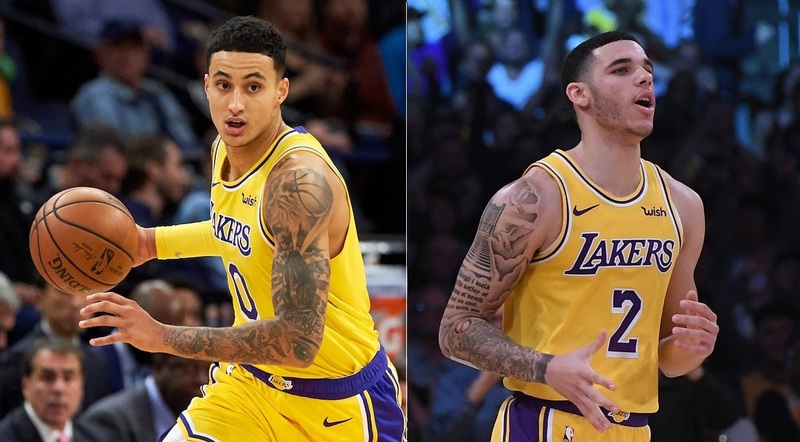 Without LeBron, the Lakers will rely on their young core, especially on their second leading scorer Kyle Kuzma along with Lonzo Ball, Brandon Ingram, Josh Hart and the rejuvenated career of Ivica Zubac. Aside from LeBron James, the Lakers are expected to miss the services of Rajon Rondo, who suffered a sprained finger after the leading the Lakers in a win against the Warriors and Javale McGee is also questionable to play the game tonight? Meanwhile, in the game the Lakers fall behind in the early quarters, but rallied back with a 14 – 2 run to end the quarter leading by 2 points 34 – 32. Lonzo Ball scored the first double digit point in the game with 11 points and 5 assists. In the 2nd quarter, Laker Kyle Kuzma gets heated in the game, leading the Lakers in scoring with 23 points at the half. Lakers also won the quarter to end the 1st half up by 6 points 67 – 61. In the 3rd quarter, the Lakers took an early big lead in the quarter with 9 points 70 – 61 but the Kings brought down the lead to 1 point in their own 9 – 0 run. At 1:33 Lakers manage to post their biggest lead of the game up by 14 points 92 – 78 and end the quarter up by 11 points 95 – 84. In the 4th and final quarter, The Lakers had a slow start that the Kings take advantage to bring down the lead into single digit with 9.09 to go 97 – 89 Lakers by 8 points. Lakers able to expand their lead back again into double digit halfway through the quarter, but the Kings are persisting and brought back the lead again into single digit with 5:39 to go in regulation. At 2:49 Kings able to cut the lead into 1 point 108 – 107 in a 18 – 4 run and at 59.6 the game gets even 112 – 112. At 04.6 Brandon Ingram made 1 free throw to extend their lead by just 2 points 116 – 114. Bogdan Bogdanovic made a game winner trees that leads to Kings victory 117 -116 after falling behind by 15 points. NBA – Before the game between the Los Angeles Lakers and the New Orleans Pelicans at Staples Center in Los Angeles, California. LeBron James was reported that he might miss his first game as a Laker due to sudden illness? James actually missed their practice prior to the game and it will be a game time decision if he could play the game or not? But the Lakers superstar didn’t stop from playing despite being under the weather as he along with the returning Brandon Ingram and Rajon Rondo are all present to play the game against the Pelicans except for Javale McGee who is now missing his 3rd straight game. LeBron leads the Lakers after dropping his 3rd triple double this season after scoring 22 points, 12 rebounds and 14 assist ending the Lakers 2 – game losing skid and now back into the winning column to stay at the 4th spot in the Western Conference standings with 19 wins and 13 losses. Brandon Ingram, who missed 6 straight games due to ankle injury added 18 points, 7 rebounds and 2 assist while the returning Rondo also added 8 points, 9 assist and 4 rebounds. Meanwhile, Lakers Center Ivica Zubac scored his career high 16 points and 11 rebounds as a starting five for the Lakers in the absence of Javele McGee. For the losing team New Orleans Pelicans, Anthony Davis, who is also suffering from illness prior to the game and was also in a game time decision to play the game lead the Pelicans in scoring with 30 points and 20 monsters rebounds but not enough to stop the King and the Lakers at Staples Center. Next game the Lakers will be hosting the Memphis Grizzlies while the Pelicans will face the Sacramento Kings on their next assignment. NBA – On their 16th season in the league one of them must end his luxurious NBA career while the other continue to dominate the league as the NBA greatest basketball player of this generation. Dwyane Wade a future Hall of Fame, 2006 NBA Finals MVP and 3 – time NBA Champion meet once again, his buddy or best friend the LA Lakers superstar LeBron James on their final matchup on the court and at the same time breaking their career match up at 15 -15 even at Staples Center in Los Angeles, California. LeBron James and Dwyane Wade were both drafted in the same year in the 1993 NBA Draft, James was the #1 pick overall of the Cleveland Cavaliers while Wade as the #5 picks of the Miami Heat since then both players excel in their team emerging as the future star of the league, they become enemy on the court every time they face one another while off the court they become best buddies. Sadly Wade, is not the same player as he used to be in his 15th and 16th season in the league as the flash slowly fading away on his talent while LeBron relieve until today as the Greatest Player of this generation and more likely to bring the Showtime Lakers back in the post season once again and relive the glory days of the Showtime Lakers? 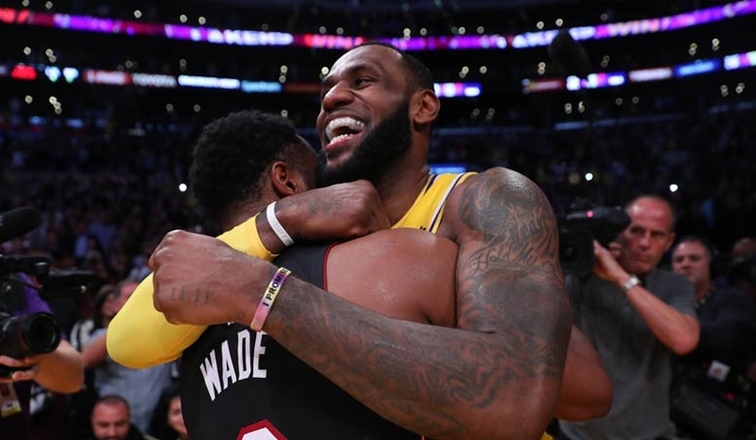 Meanwhile, in their final match the Lakers won 108 – 105 with a down to wire finish and as expected both James and Wade lead their respected teams but James and the Lakers out clash Wade and the Miami Heat. James finishes the game with1 rebound shy of a triple double with 28 points, 12 assist and 9 rebounds, while Wade scored 15 points, 10 assist and 5 rebounds. James and Wade career matchup is now 16 – 15 in favor of James. NBA – The Los Angeles Lakers finally beat the undermanned San Antonio Spurs 121 – 113 for their third meeting of the 2018 – 2019 NBA Season at Staple Center in Los Angeles, California. 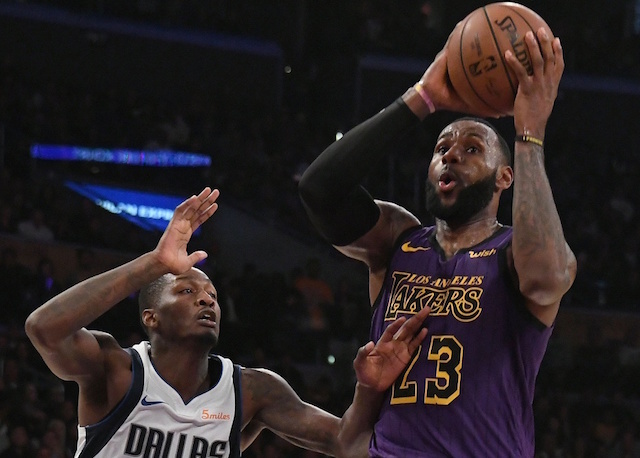 The Lakers led by their superstar LeBron James played a huge 4th quarter scoring 20 points out of his total 42 points of the entire game that leads to their first win of their season match against the San Antonio Spurs. The Lakers are in much control of the 1st and 2nd quarter ending the halftime leading by 5 points 50 – 45, but in the 3rd quarter Rudy Gay exploded for 16 points, outscoring the home team in the quarter 37 – 28 to end the 3rd quarter 82 – 78, Spurs up by 4 points. In the 4th and final quarter, the Spurs able to take advantage of the situation while LeBron James is still resting on the Lakers bench increasing their lead to 8 points silencing the Lakers crowd on a verge of losing another close game to the Spurs? But everything changes when the league best NBA player LeBron James re insert in Lakers lineup that give hope for the Lakers crowd. LeBron scored 14 straight points for the Lakers team since returning back in the 4th quarter and eventually gives back the lead to the Lakers since then the Lakers never looks back and rally past the Spurs in a come from behind win. James has a grand total of 20 points in the final quarter, leading the Lakers in a dramatic comeback ending their losing skid over the Spurs and extending their winning streak to 4 –game and currently sitting 5th place in the Western Conference Standings at 15 wins and 9 losses. Meanwhile, the San Antonio Spurs are still currently leading the Lakers in their season match 2 – 1 and will be hosting the Lakers in their final matchup of the season this Friday (US Time) at the AT&T Center in San Antonio, Texas.